Lynn: Jill! Look there’s an alien space ship and it just landed in our office. Wow, check out those strange luminescent eyes peering at us. SFX: SCI FI MUSIC UP. Jill: Wait! Look over here! There’s a band of wild horses thundering through the back yard. SFX: NAY. WHINNEY. STOMPING FEET. Lynn: Man that kicked up a lot of dust. 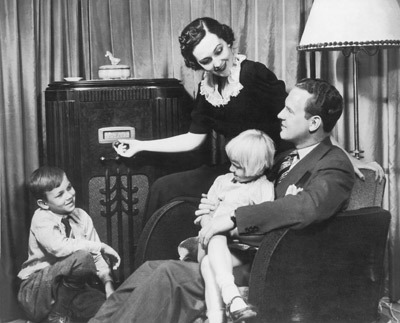 I love radio – it’s theater of the mind. You don’t have to pay for an animal trainer or a lot of special effects to create incredible drama. Jill: Yeah, but we might have to pay someone to make this blog funnier. Lynn: I could start imitating my mother. That always makes people laugh. Jill: You already did that in our latest SCNB spot. Lynn: In the summer, the Hamptons is Hollywood East. 27 is a parking lot. Sooner or later, everyone is stuck in traffic. All year round, people drive from Montauk to Manhattan. Just another reason radio is a great way to reach folks out here. To listen to our latest radio spots click here. To find out more about why we love radio, just call us! Next: Oooh Baby Baby! What’s new in Montauk?